Tickets for Tuscany in the City are sold out. If you would like to be added to the wait list for either the afternoon tasting, Tuscany: A Study in Terroir ($300/person), or the Gala Dinner & Charity Auction ($800/person), please contact info@vinousmedia.com and we will let you know if tickets become available. Antonio Galloni and the Vinous team welcome you to Del Posto in New York for this special weekend celebration dedicated to the great wines of Tuscany. A selection of Tuscany’s top producers will be on hand to personally show their wines. Tuscany in the City brings consumers closer to the great wines of Tuscany through a series of specially tailored tastings and dinners. Guests can look forward to an extraordinary day of wine and food, as captured in this short video from last year's La Festa del Barolo. For more, watch Antonio Galloni discuss Tuscany in the City, here. 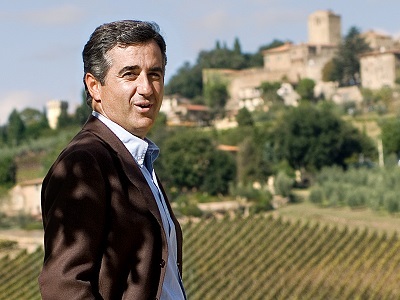 In the Saturday afternoon session, Antonio Galloni will moderate a seated tasting of the Tuscan wines. The Tuscany: A Study in Terroir tasting will explore the subtleties and nuances of Tuscany's diverse microclimates. Attendees will have the opportunity to ask producers questions in a highly interactive, engaging setting. Join fifteen of Tuscany’s finest producers for what is sure to be an extraordinary dinner at New York City’s Del Posto, the first Italian restaurant to receive a coveted four-star rating from The New York Times in over thirty years. Each winemaker will pour an older vintage from their library at the BYOB Gala Dinner, where guests bring wines from their own cellars to share with their friends and other diners. The Charity Auction will consist of a handful of specially selected, rare lots. This year we are supporting The Zone, a state-of-the art facility within The Mount Sinai Hospital that helps seriously ill children and their families cope with hospitalization. A group of New York’s most talented sommeliers drawn from the city’s top restaurants will oversee wine service. Querciabella is an estate in serious motion. Over the last few years, proprietor Sebastiano Cossia Castiglioni has stepped up Querciabella's game, big time. 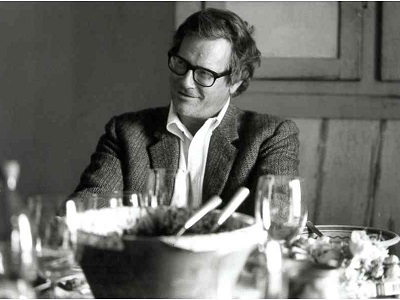 A vocal animal-rights activist and man of great culture, Castiglioni has spared no expense and overlooked no detail in his quest to make the best wines possible. For that, he and his team are hugely deserving of the acclaim that has come their way. 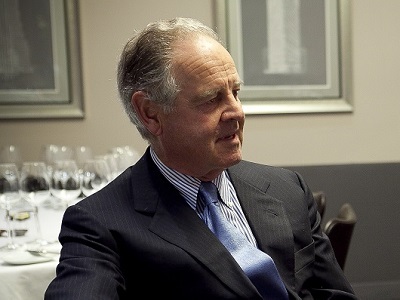 Piero Antinori and longtime winemaker Renzo Cotarella have been the leading forces in Italian wines for decades. With estates spread throughout the country, today Antinori produces high-quality wines in many appellations. Antinori has done a fabulous job with their 2010s. Specifically, the dual flagships Tignanello and Solaia are off the charts in a vintage that is likely to go down as one of the all-time greats for both wines. Although deeply admired and revered by the cognoscenti, Castell'in Villa still flies under the radar. This small, pristine property boasts a track record of fabulous wines that goes back to the 1970s, and also supplied fruit for some of the most famous Tuscan wines of that early period. 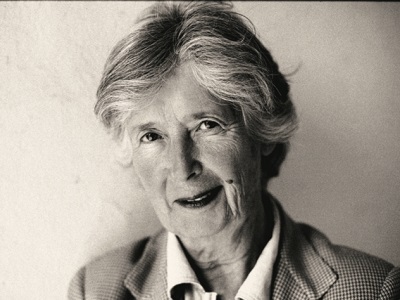 The estate’s charming proprietress, Princess Coralia Pignatelli della Leonessa, and her late husband, found the property in 1967 and purchased it the following year. Castello dei Rampolla is located in Panzano’s famous Conca d’Oro or ‘golden basin,’ an amphitheater of striking, pristine hillside vineyards. Brother and sister team Luca and Maurizia Di Napoli continue to take Rampolla to even greater heights. The dual flagships Sammarco and d'Alceo are brilliant across all vintages. The Di Napolis are strong proponents of biodynamic farming and have been experimenting with terra cotta amphora in recent years. 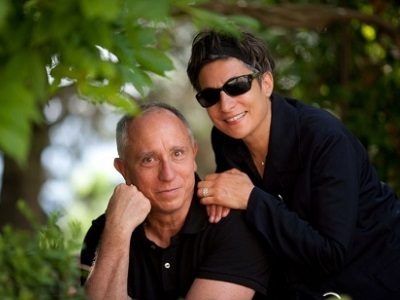 Proprietors Marco and Lorenza Pallanti are true visionaries. An approach built on painstaking attention to detail, along with an uncompromising commitment to quality and a willingness to take risks places them among the world’s elite producers. Castello di Ama have recently added a new wine, the Chianti Classico Riserva that may become a Gran Selezione, as well as the Haiku. Castello di Ama makes duel flagship wines, Chianti Classico Bellavista and L’Apparita. Fèlsina is one of the benchmark properties in Chianti Classico. The estate’s flagship Chianti Classico Riserva Rancia boasts an exceptional track record of excellence going back more than 30 years. Today Giovanni Poggiali is building on an exceptional legacy of quality and innovation built by Giuseppe Mazzocolin over the last three decades. Fontodi is one of the most impressive wineries in Chianti Classico. Proprietor Giovanni Manetti has elevated Fontodi from a sleepy, average estate to a world-class winery. The estate’s dual flagships Flaccianello and Chianti Classico Riserva Vigna del Sorbo are reliably outstanding examples of these great terroirs in Chianti Classico’s Conca d’Oro. 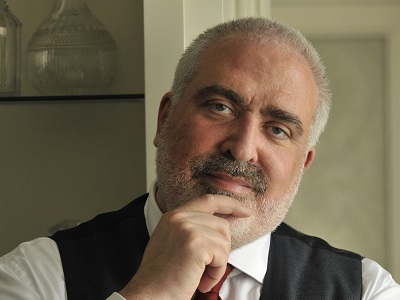 Proprietor Paolo De Marchi has left an indelible and highly personal stamp on Isole e Olena and all of Chianti Classico, for that matter. Originally of Piedmontese descent, De Marchi stands apart from many of his colleagues for his vocal opinions and intense dedication to the vineyard above all else. Since taking over his family's estate in the late 1970s, De Marchi has transformed Isole e Olena into a powerhouse. While Isole e Olena remains less well known than some of their more famous neighbors, these wines are world class. 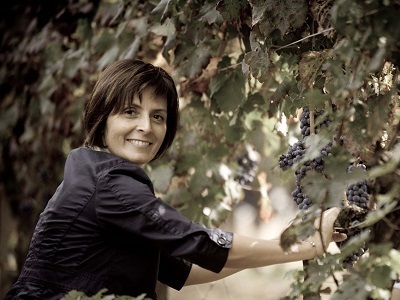 Cinzia Merli and her late husband Eugenio Campolmi bought Le Macchiole, which sits just across the road from Ornellaia, in 1982. 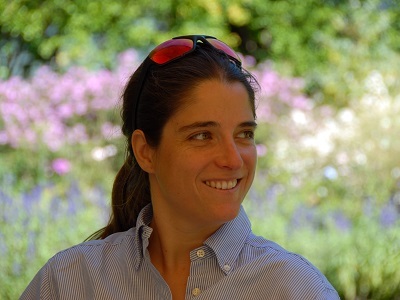 In the 1990s, Le Macchiole began to turn their attention single-variety wines and micro-vinifications that form the core of the estate’s approach to this day. Paleo (Cabernet Franc) and Messorio (Merlot) are two of Le Macchiole’s flagship wines, and among the best in Italy. 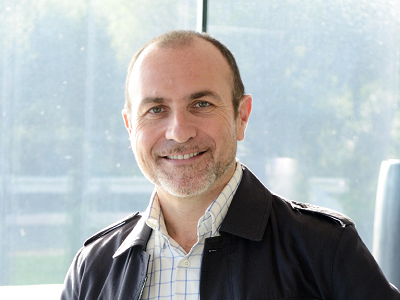 'Fortune favors the bold,' says proprietor Pasquale Forte. That pretty much sums it up. Forte is part of a group of Italian businessmen that define the entrepreneurial spirit of Italy's northern provinces. The attention to detail in the vineyards is impressive, while the cellar is impeccably clean, something that is quite rare in Tuscany. The 2010s are simply off the charts. 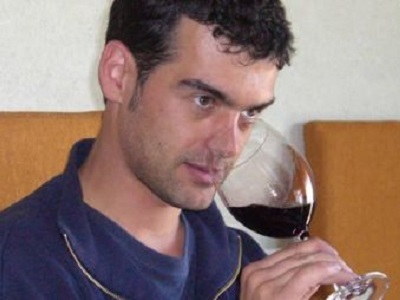 Credit to longtime winemaker, Cristian Cattaneo, who is matching Forte’s pioneering style with a number of as yet unreleased but impeccable experimental wines. Poggio Scalette is a tiny, family-run property located in the hills of Greve right next to neighbors Querciabella. 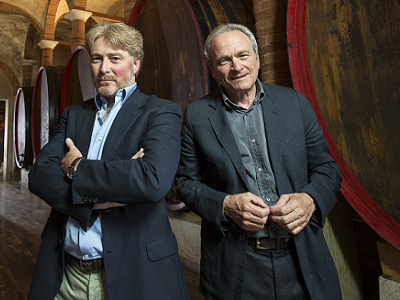 The estate is run by father and son team Vittorio and Jurij Fiore. 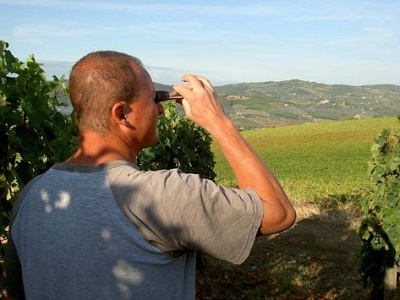 Vittorio is most well-known as consulting oenologist for a number of top wineries, including Costanti and Il Carnasciale, while Jurij oversees the day to day work at Poggio Scalette itself. The hillside vineyards are located at about 500 meters in altitude, which is ideal for making elegant, finessed wines that are capable of aging. The truth is Luca Martini di Cigala would rather be in the vineyard than at a tasting, such is his total commitment to quality. San Giusto a Rentennano’s flagship Sangiovese Percarlo has been a standard bearer of quality since its creation in 1985. Percarlo started off as a selection of the estate’s best vineyards. In 2001 the Martini di Cigalas moved to a bunch-by-bunch selection across all of the fruit that comes into the winery, an approach they favor because of the huge inconsistency Sangiovese often shows from vine to vine, and even within the same cluster. Tenuta dell’Ornellaia is the brainchild of Lodovico Antinori, who founded this gorgeous, sprawling estate in Tuscany’s Maremma in 1981. The first vintages were overseen by the legendary oenologist and winemaker Andre Tchelistcheff, a mantel successfully carried by Axel Heinz today. The estate produces a wide range of wines, from the entry-level Le Volte to the super-premium Merlot Masseto, but it is Ornellaia that best captures the philosophy of the estate. Andrea Franchetti is one of Italy's most fascinating winemakers. Franchetti’s reds from Tenuta di Trinoro, which sits in one of the most remote corners of Tuscany, are endowed with personality and character. These wines – the product of an owner totally obsesses with quality – are among the most compelling in Italy. Mario Incisa della Rocchetta founded Tenuta San Guido in the late 1940s and began producing Cabernet based wines almost immediately. Sassicaia was originally made for personal consumption only until Mario’s son, Nicolò, and Piero Antinori convinced him to release it commercially. The inaugural 1968 vintage was an instant hit. The rest, as they say, is history. We look forward to welcoming you to Tuscany in the City. All information is accurate as of April 23rd, 2014 and is subject to change.